Abstract: This proposal is focused on improved and standardised input of river discharge into global, regional and coastal models, with the long-term strategy of improved connection and coupling between ocean land surface and hydrological models. Ocean models used in CMEMS services normally rely on climatological river discharge data to specify land freshwater input. 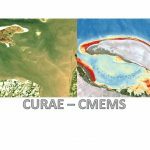 The Copernicus Emergency Management Service (CEMS) Global Flood Awareness System (GloFAS) provides state-of-the-art global flood forecasts and downstream river discharge. The discharge is modelled by routing runoff from ECMWF’s (European Centre for Medium- Range Weather Forecasts) operational weather forecast via a river network. In this proposal, we investigate the use of GloFAS river discharge reanalysis as land freshwater input to the NEMO ocean model, to quantify the benefit of realistic freshwater time series input in the ocean modelling. The work will involve: 1) producing river discharge reanalysis data from the GloFAS system driven by the latest ECMWF atmospheric reanalysis (ERA5), 2) implementing GloFAS river discharge data into NEMO ocean model; 3) conducting impact study experiments within the ECMWF Ocean ReAnalysis (ORA) system; and 4) assessing the new GloFAS-based runoff forcing in global ocean and coastal areas on ocean Essential Climate Variables’ (ECVs) simulations. The methodology will be developed with a transfer to operational status in mind, given that the results are positive. Finally, this work will provides an excellent unique opportunity to build synergies between the three different Copernicus Services C3S (Copernicus Climate Change Services), CEMS and CMEMS.